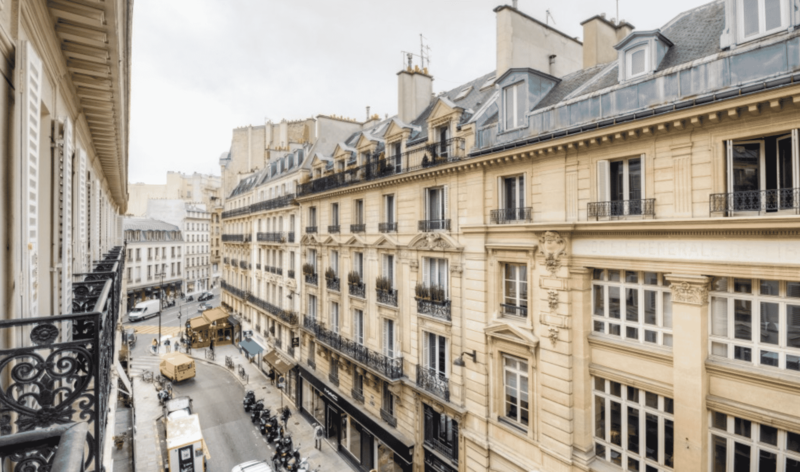 Classic 19th century Haussmann-style building with high ceilings, crown moldings and original wood floors. 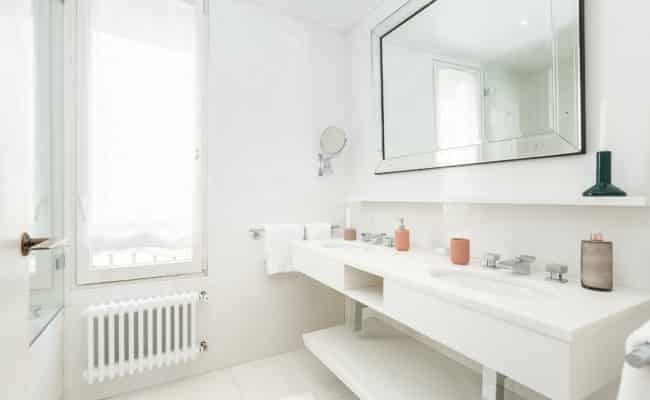 4th floor (5th floor US) with elevator. 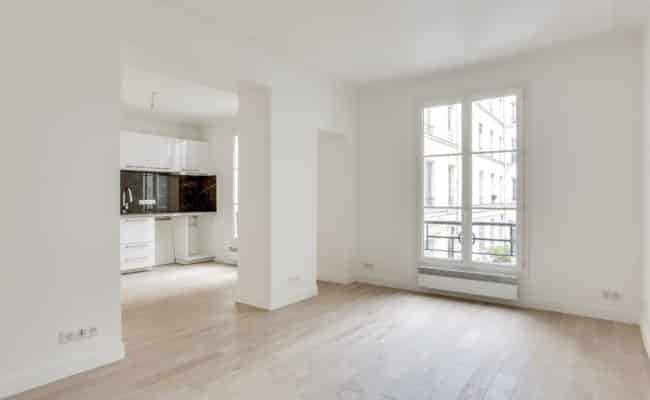 South and west facing from the bright and spacious living room, with open views onto the delightful street. 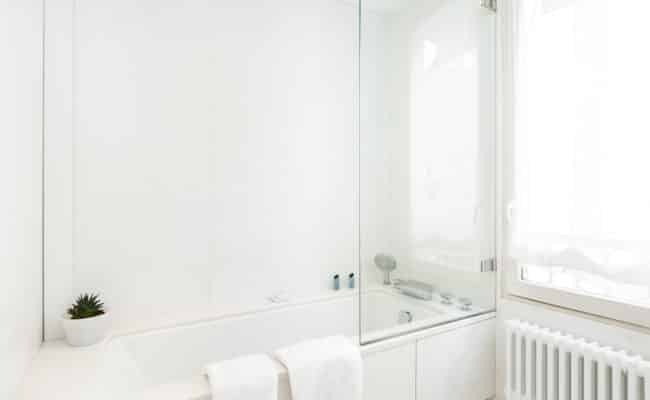 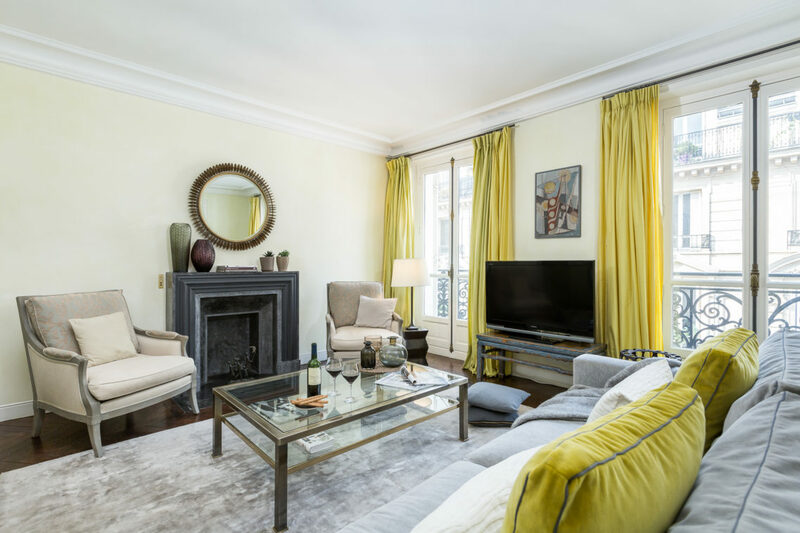 Renovated and decorated with perfect attention to preserving its historical charm, the property boasts wonderfully modern kitchen and baths. 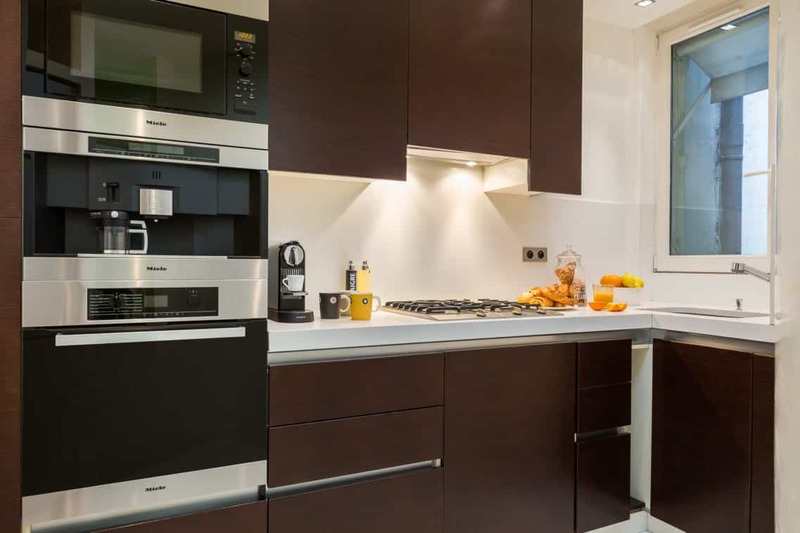 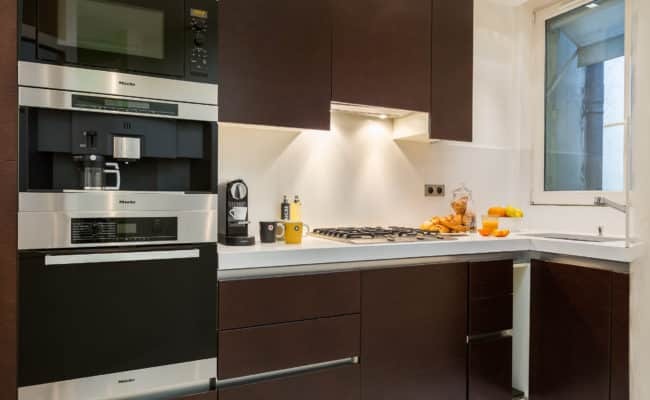 A full-size gourmet kitchen equipped with top-tier appliances is ready for entertaining guests with your own cuisine or a private personal chef available through the concierge. 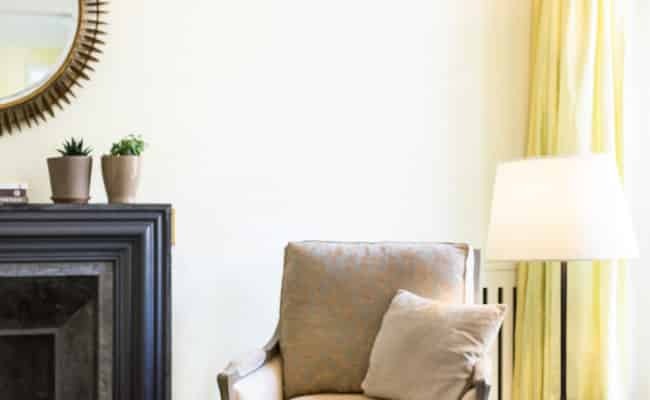 Full climate-control, including central air conditioning, ensure that your apartment is always right for you to relax and enjoy. 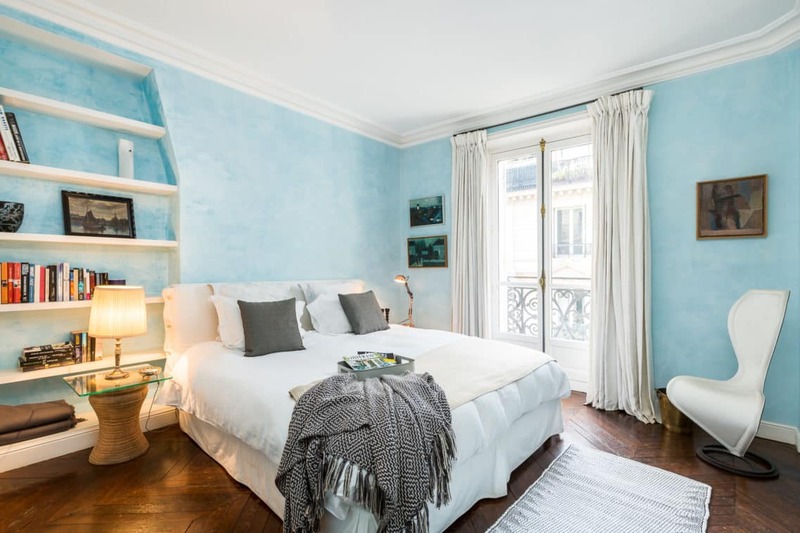 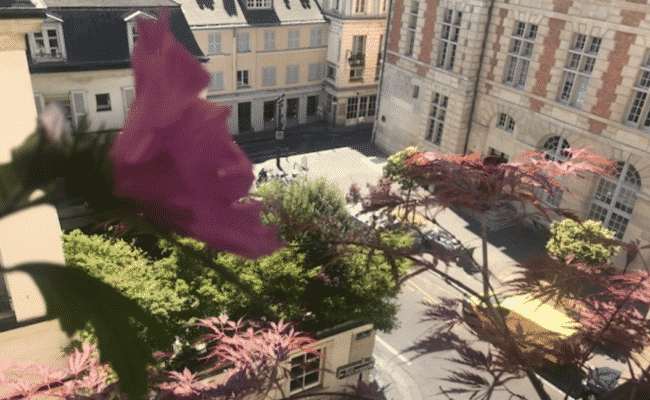 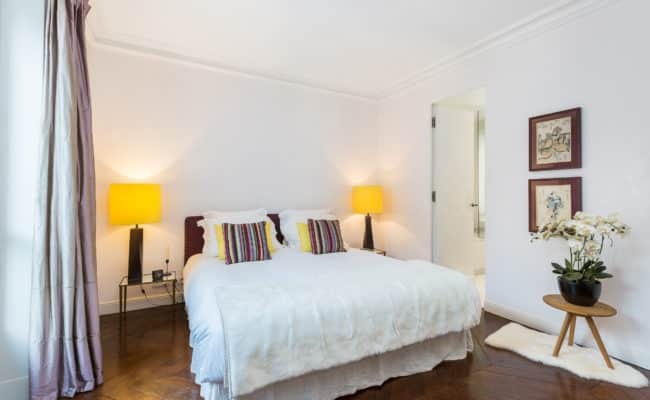 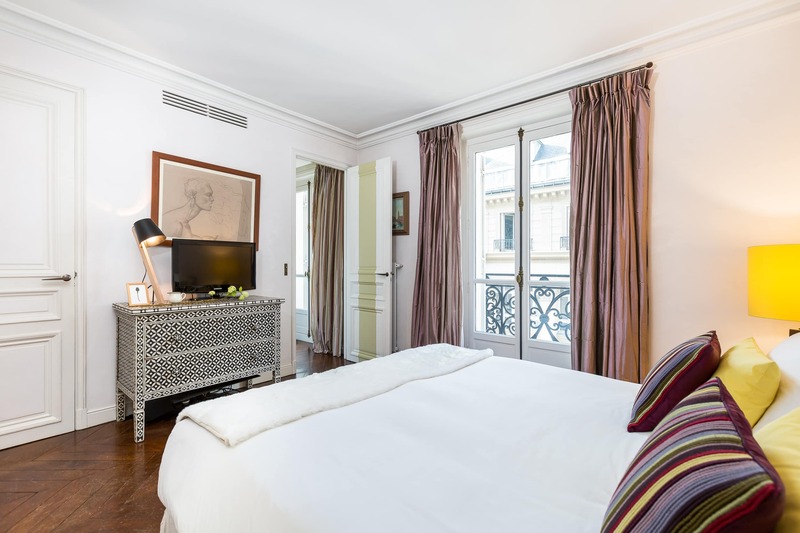 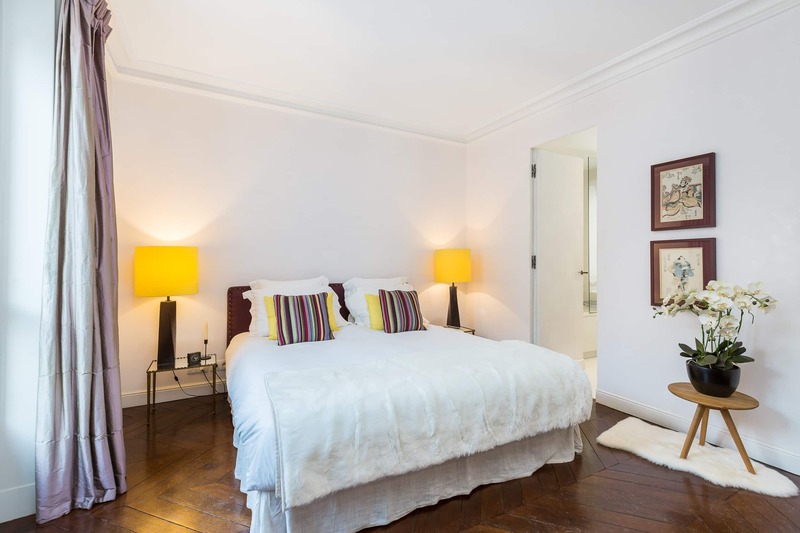 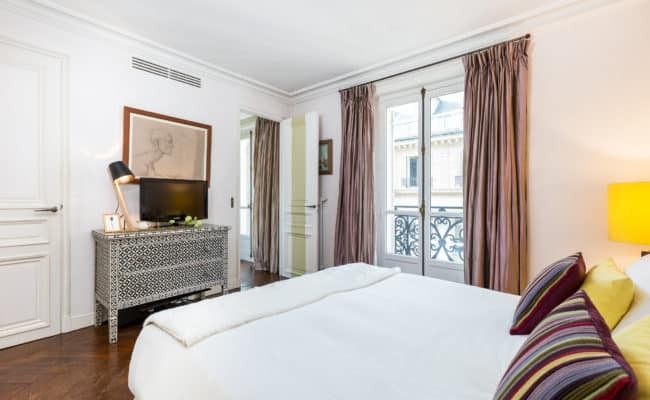 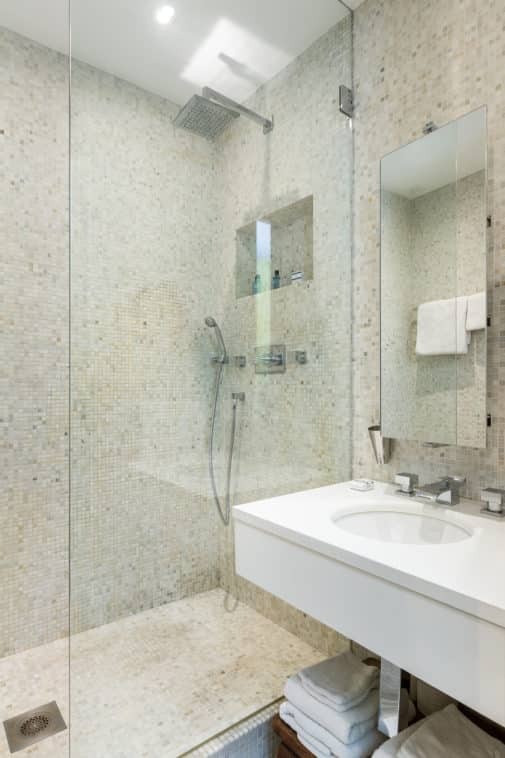 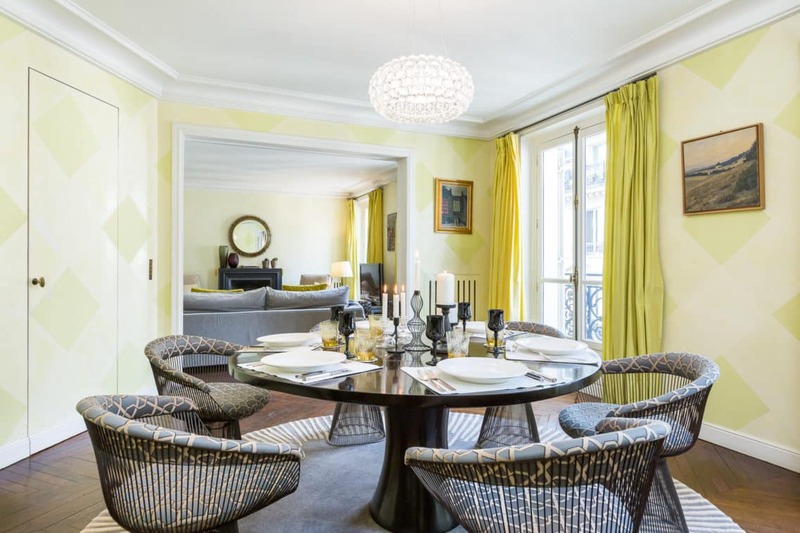 5-week fractional shares are offered in this lovely pied-à-terre. 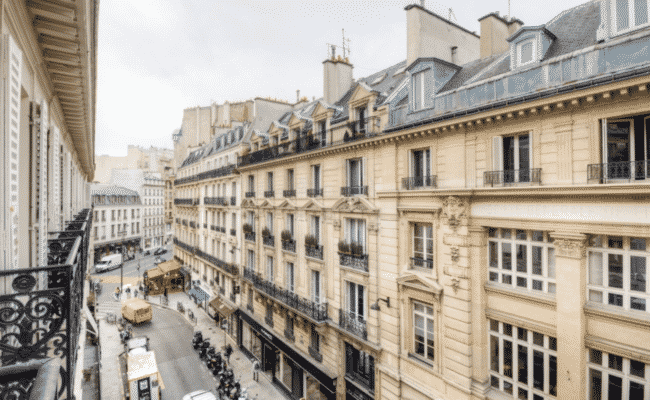 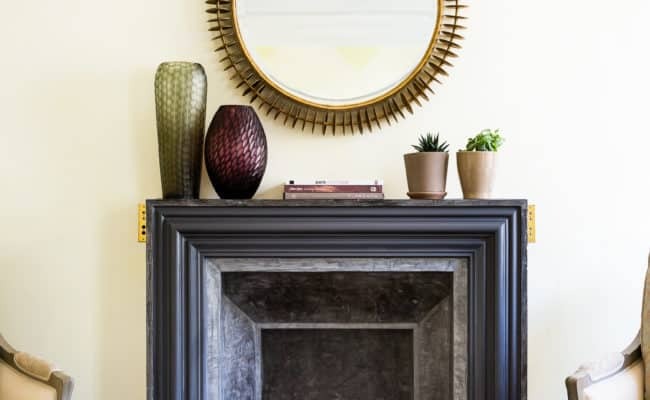 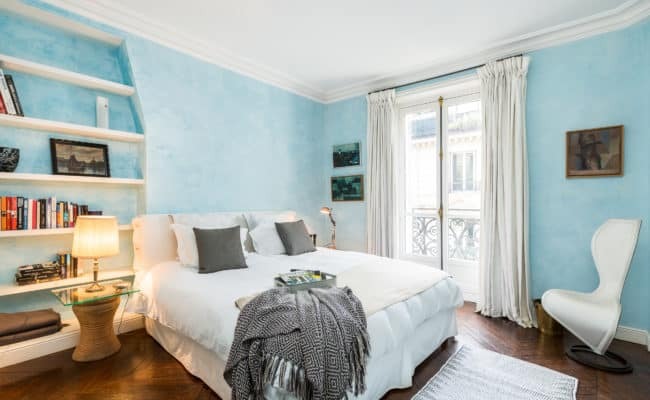 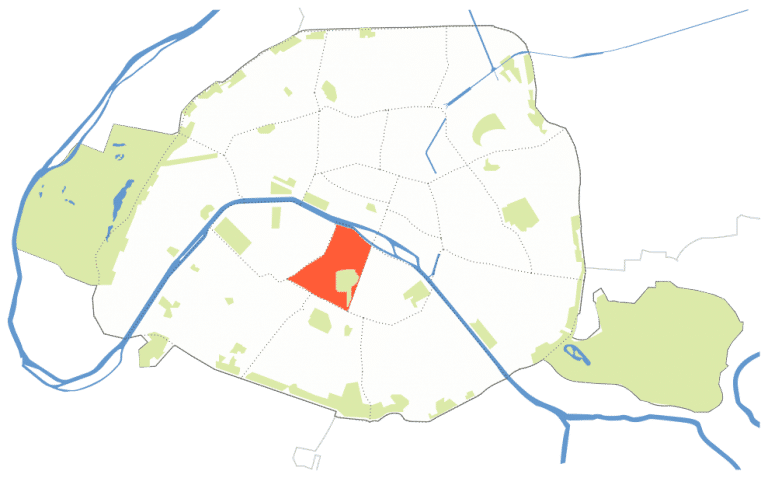 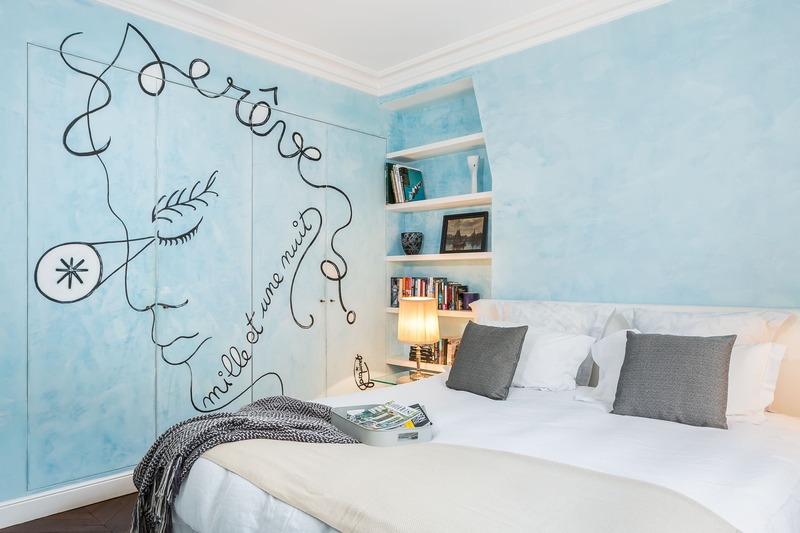 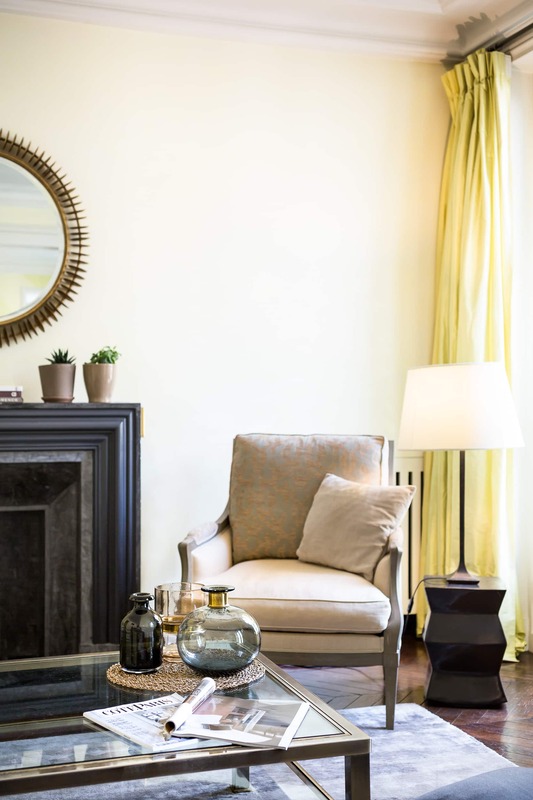 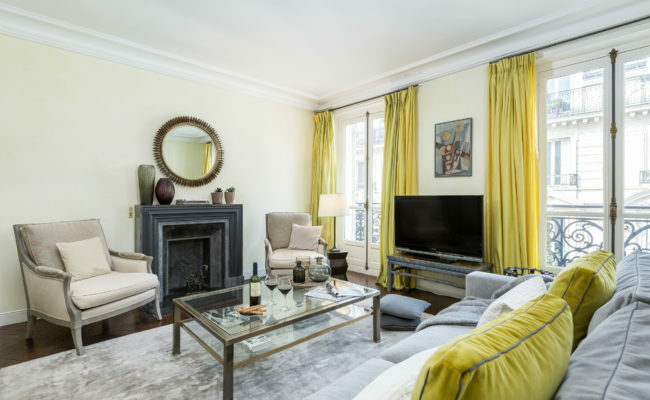 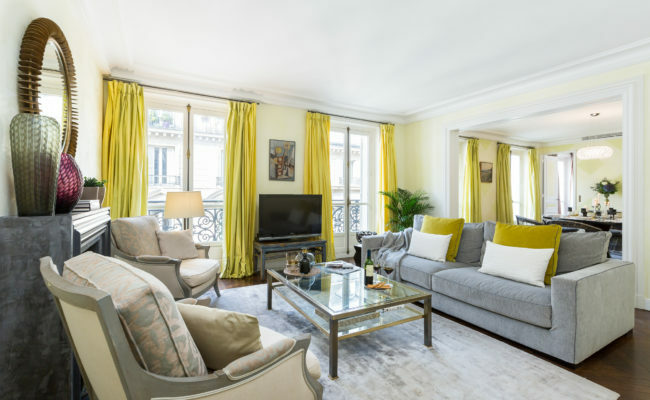 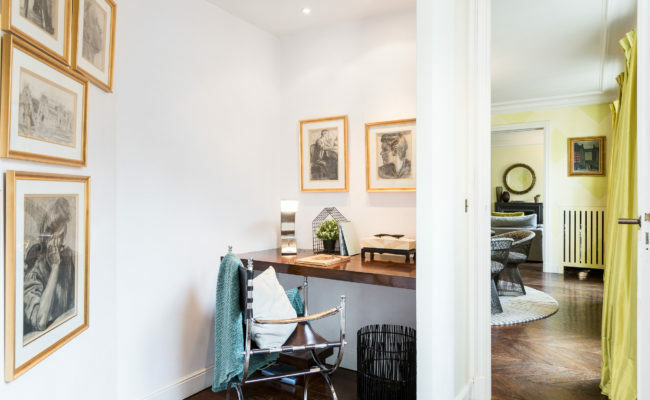 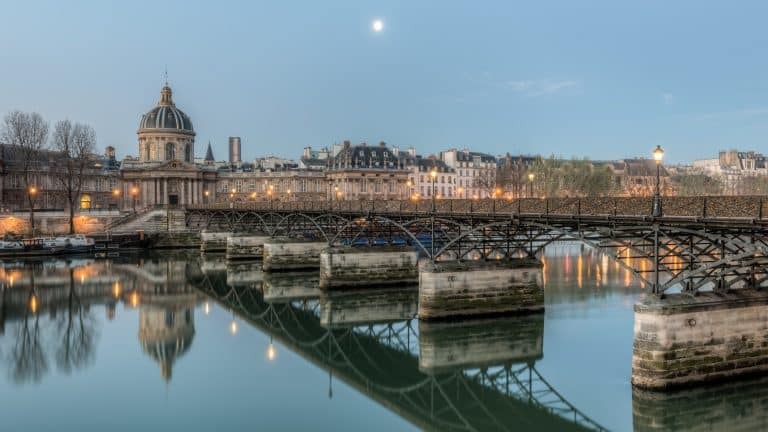 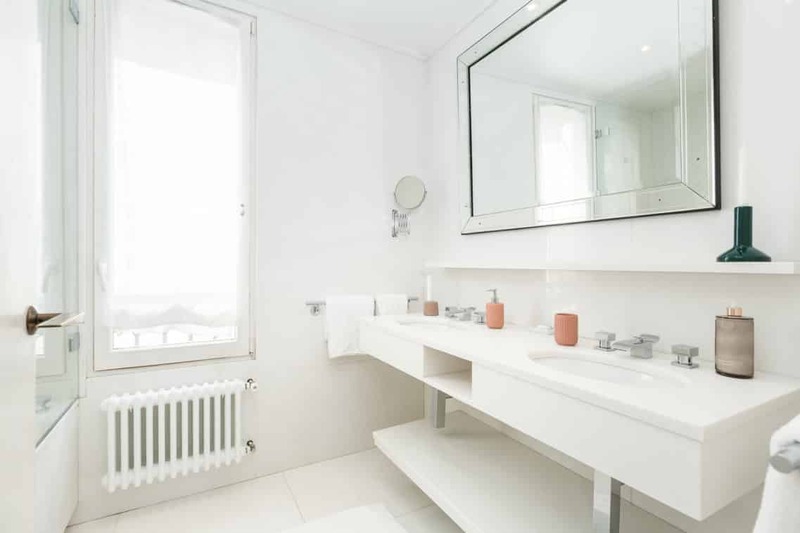 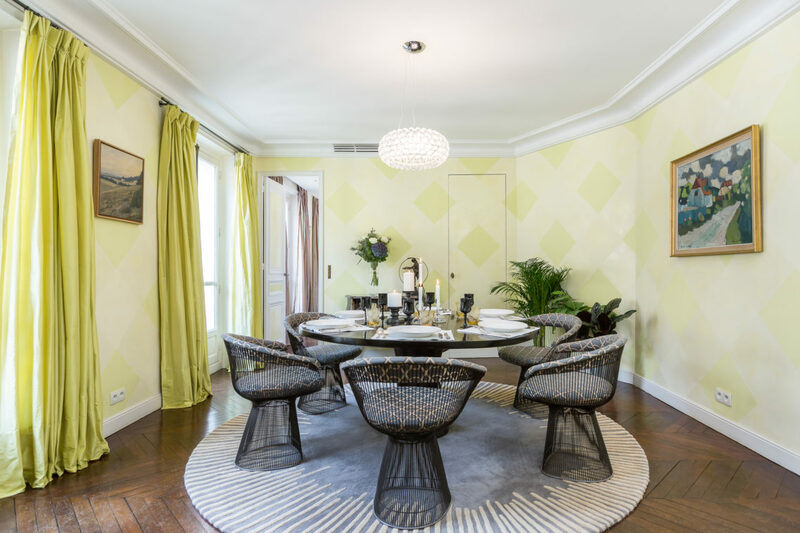 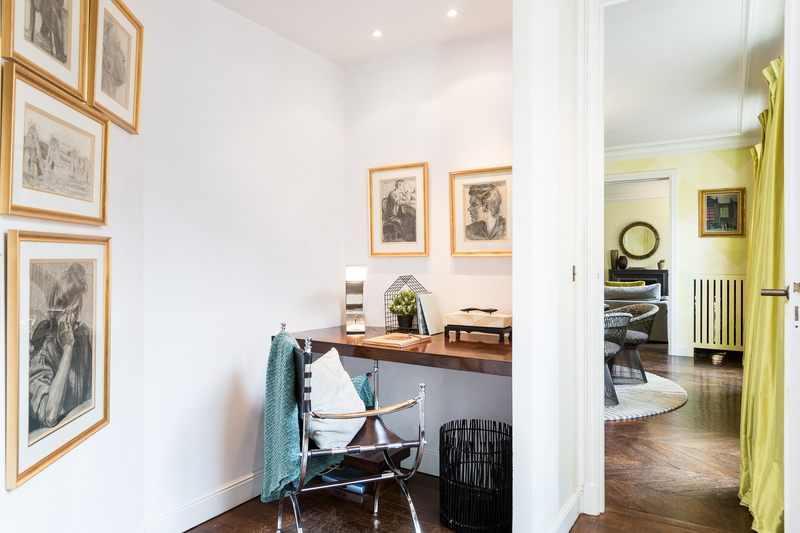 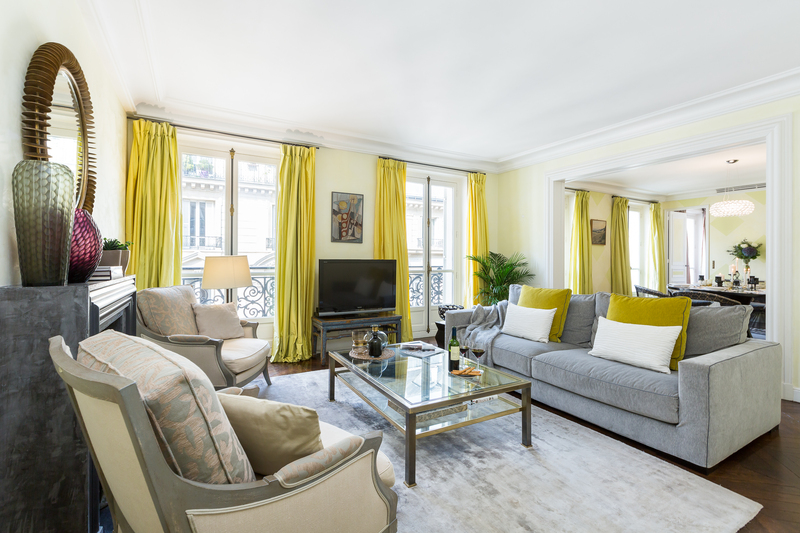 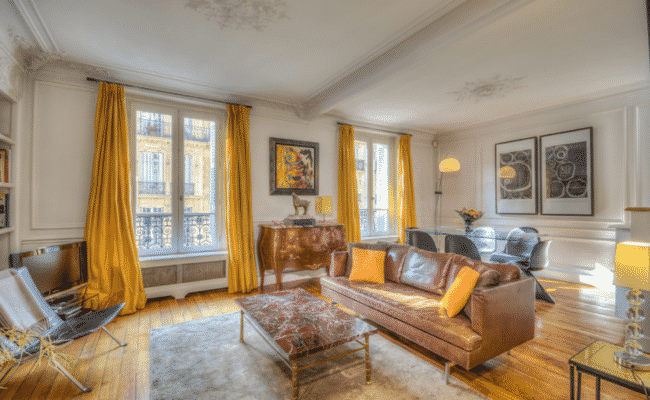 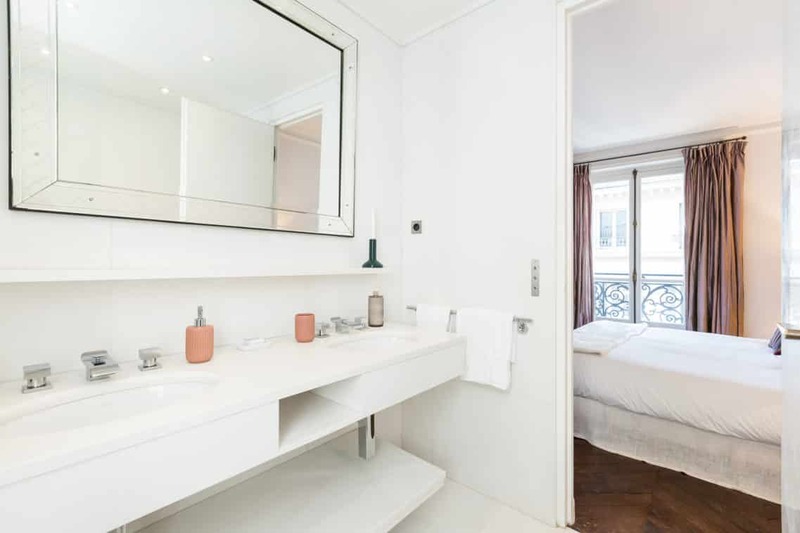 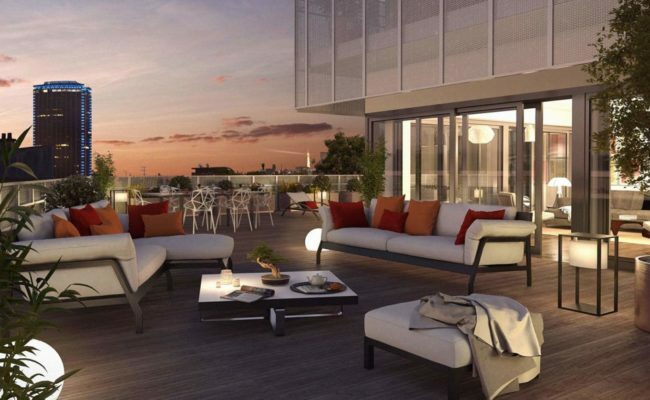 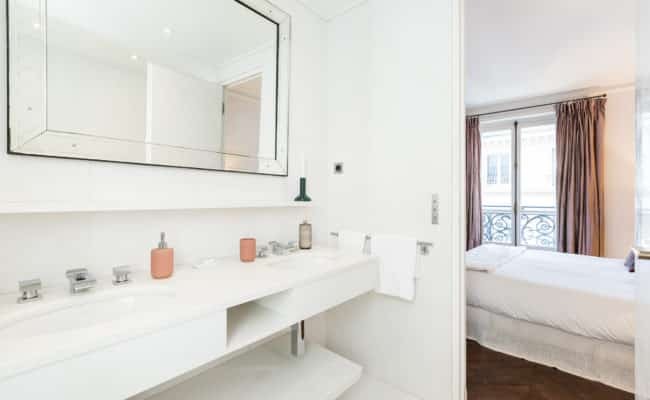 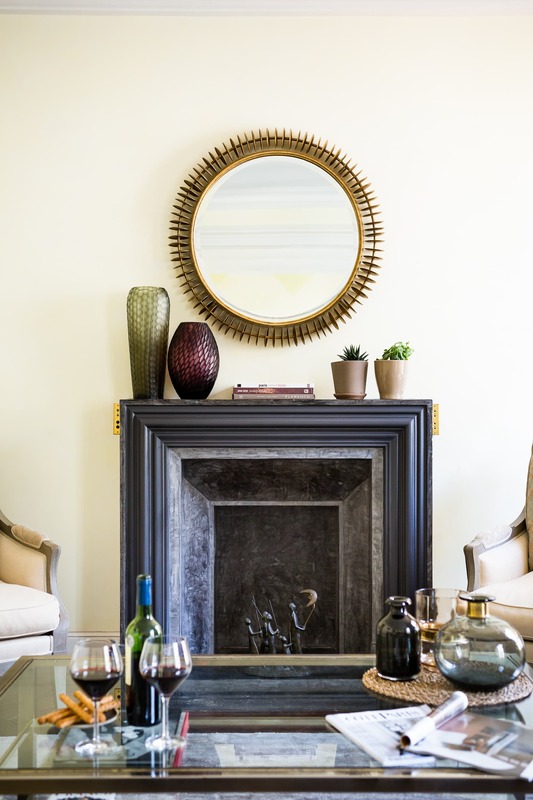 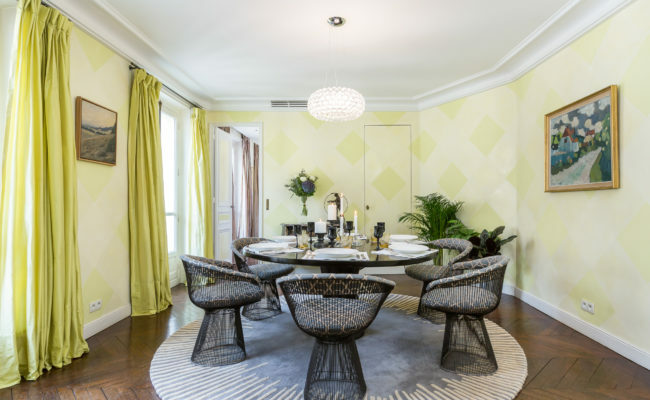 This unique opportunity allows you to own a luxurious apartment in Paris at a fraction of the cost without any of the headaches of maintaining it.